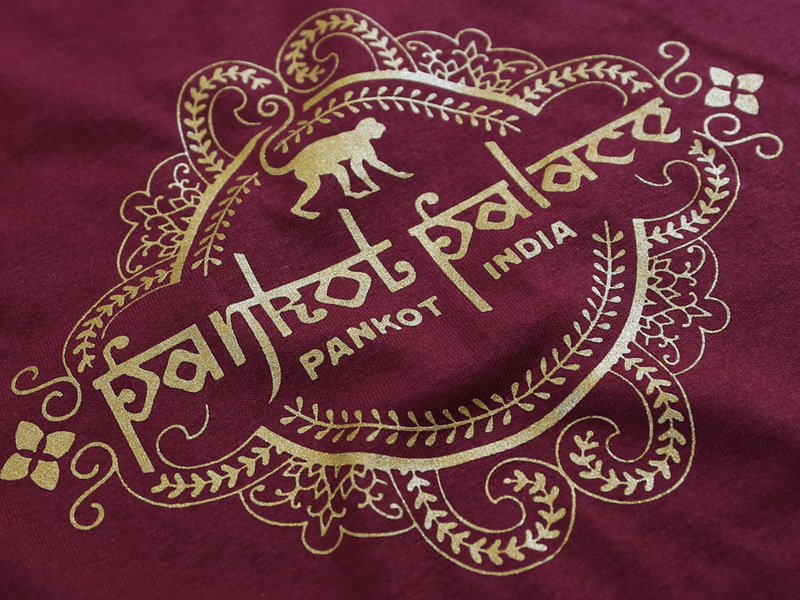 A luxurious gold coloured ink, hand screen printed on a regular fit, 100% ultra cotton maroon t-shirt. 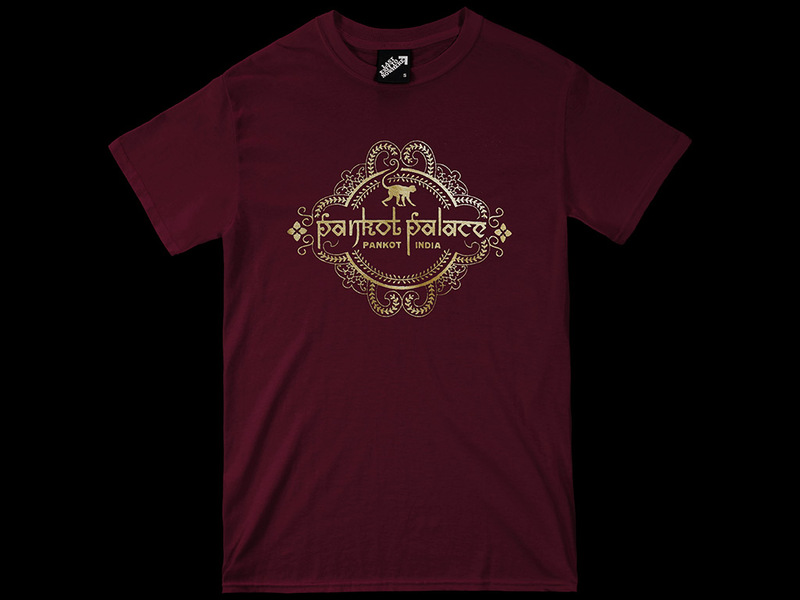 Inspired by the fictional location featured in the 1984 film Indiana Jones and the Temple of Doom. 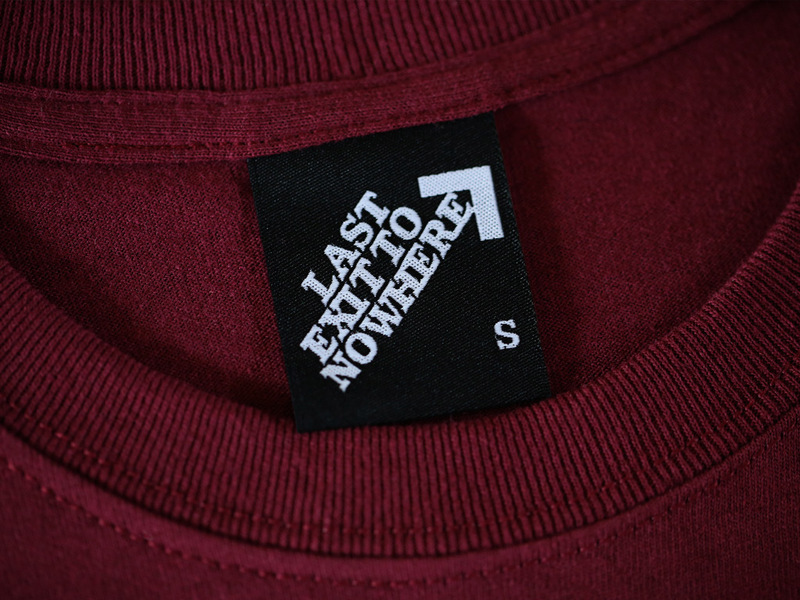 The action-adventure film was directed by Steven Spielberg and stars Harrison Ford, Kate Capshaw, Amrish Puri and Jonathan Ke Quan.